..This is my dream phone.. Here's the commercial for this phone.. The 12.1-megapixel camera with Xenon flash and intuitive touch focus gives you stunning, high-resolution shots you’ll want to blow up big and keep. 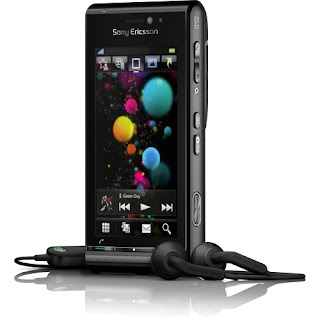 With the Sony Ericsson Satio™ phone, all your favourite stuff is just a touch away. Tap directly into TV series, mobile videos, podcasts and music via the ingenious full-touch media menu on this amazing entertainment phone. Feast your eyes on films and images in 16 million colours on the Sony Ericsson Satio™ phone. On the razor-sharp 3.5", 16:9 ratio screen, you'll enjoy them as they're meant to be seen. But not now.. maybe 2-3 years later..
Or.. when this phone's cheap.. till RM500++..